Pictured Above: Celebrated Irish Poet William Butler Years. June 13th saw dozens of people converge on Sandymount Green to pay tribute to one of Sandymount’s most famous sons, celebrated Irish poet William Butler Yeats. It was a glorious Saturday morning and the demographics of the crowd reflected those of the performers as both young and older members of the community took part. This day marked the 150th year of Yeats’s birth, and as such, a special theme was required for this year’s event. Author and organiser Tony Jordan had decided that this year’s narrative would focus on the turbulent love affair between Yeats and Maud Gonne. The structure of the readings was split into four sections, each one comprising poems read by participants to mark the four different points in the Yeats-Gonne affair. The first section featured poems describing the nascent love affair between the two. The second portion detailed Yeats’s response to the loss of Maud Gonne with readings of poems such as The Arrow and O Do Not Love Too Long. There were then readings of the likes of Reconciliation and Against Unworthy Praise, written during the period in which Maud Gonne had recently separated from John McBride. 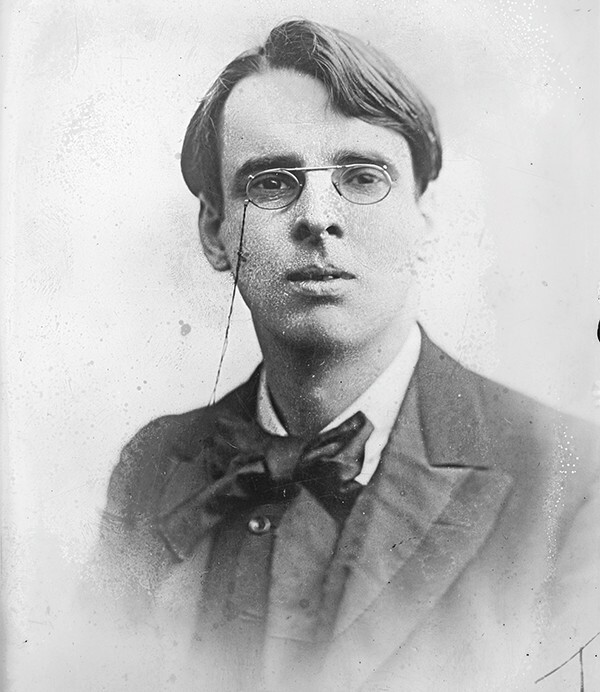 The final array of performances marked the poetry of Yeats’s years as a Senator, where he lost contact with Gonne for over 10 years, with poems like Quarrel in Old Age. Other notable performances on the day included a group of young girls from Spraoi Academy of Speech and Drama, organised by Sandymount resident Aoibhinn Finnegan, who executed a profound version of To a Child Dancing in the Wind, with Aoibhinn herself performing an impassioned rendition of Fallen Majesty. There were also readings from political figures such as Joe McCarthy, Dermot Lacey and Lucinda Creighton, while Clare Roche left an emotional mark on the crowd as she played musical harp versions of such works as Lake Isle of Innisfree. Rodney Devitt had the distinction of being the final speaker of the official itinerary, where he read out Beautiful Lofty Things, which, in its grandiose references to Pallas Athena, was probably a most befitting place to wrap things up! After the completion of the formal session, willing members of the audience were then invited to take to the microphone and embody the spirit of Yeats on this most momentous of days in the Irish poetic calendar. All in all, the day featured 35 readers speaking, with a sound system that had been provided by Dublin City Council. NewsFour managed to grab a quick word with Tony Jordan after the day’s events.